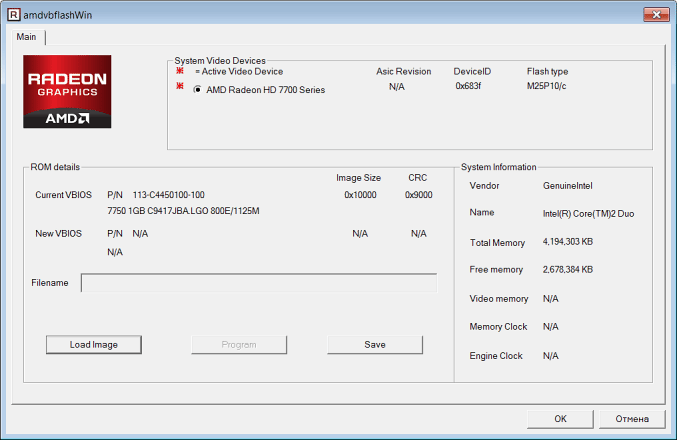 Program for flashing BIOS video cards on AMD chips (ATI) Radeon for Windows. The archive includes the ATIFlash version for the Windows command line and ATI WinFlash with a graphical user interface. It is recommended that you use the command-line version. In 2013, ATI WinFlash 2.6.6 released a version of the utility (console, which can not work in DOS, only for Windows) with the same name and version number, continuing the chronology of the ATI WinFlash utility versions. 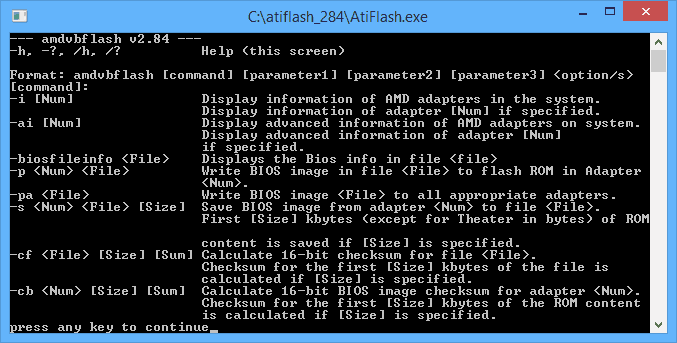 In 2015, starting with version 2.7.1, a single distribution containing ATI WinFlash with a graphical user interface and ATIFlash for the Windows command line was renamed by the developer in ATIFlash. In this case, the console version of ATIFlash is based on ATI WinFlash developments and is the further development of the latter. Despite the fact that ATIFlash and ATI WinFlash, contained in one archive, have the same date of changes, the developer recommends using the version of the program for the command line. Fixed a problem with the launch in Windows 10 Build 1803. Added support for Radeon RX Vega series cards. Added support for AMD Fiji. Fixed a bug that made it impossible to read the BIOS file with a two-character extension in the name. Added support for a number of ROM chips. Fixed a bug in the firmware of cards with the ISR already enabled. Fixed issues when flashing cards based on the Pitcarin GPU. The function of ISR data saving after firmware is added. Added the command line parameter caymandualrom = true / false. Improved support for new video cards based on the Cayman chip (including Radeon HD 6990). Added support for Radeon HD 6850 / HD 6870 (Barts) and Radeon HD 6950 / HD 6970 (Cayman). The bug was fixed – the last 2 digits of the new P / N format of the HD 6850 and HD 6870 (Barts) video cards were not displayed. Previous story Gimmer. Full version. Download. Automated Crypto-Trading Bot.